now be able to provide these items for your convenience. First we'd suggest choosing a bib. 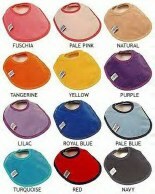 A nice selection is offered here, with colors to match your outfit. Hey, might as well coordinate when drooling, right? 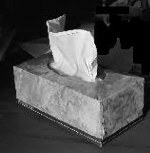 A small box of Kleenex might be enough, but we also offer paper towels for when the drool gets a bit heavier. and have it close at hand when you are in GG Land. Those little hand-held fans will just not be enough...so we offer two popular sizes for your use while in GG Land. A must-have is the Drool Bucket. Over the years we've found that the regular size pail is not big enough, so we now offer a med-sized tub and the larger 52 gallon barrel. The bucket and tub are galvanized so they will not rust. If you plan on re-visiting GG Land soon, we'd suggest the larger barrel for your home. 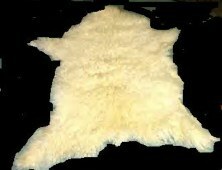 For those heavy-duty visits, a fine selection of heavy Egyptian cotton towels and the ultimate luxury, a sheepskin THUD-RUG are definitely called for. specified time, to please check on you. 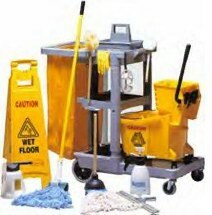 For added convenience we also provide a nice heavy-duty mop...and for those "spew" events (which usually do happen!) a gold-plated Squeegee should be on your list. special snacks to make your visit more enjoyable. A fine assortment of chocolates! Caution...may melt quickly, so eat fast! the "harder" stuff if you feel the need. Caution: It's recommended that you be sure and take the squeegee with you to protect your computer screen. (for a small fee) the "DROOL-OUT" our most efficient clean up package. anything Angelic in a safe place. graphics. This site is intended as entertainment only. No offense is intended.